Cook the Italian way with this stylish Domo casserole pan, designed and manufactured in Italy. 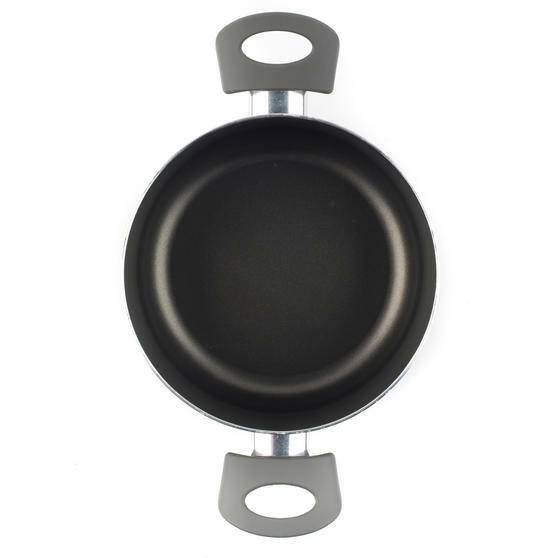 Made from high quality aluminium for rapid heat up and stable heat diffusion, the pan is suitable for all hob types except induction. Featuring two heat resistant handles either side, the pan is easy to hold and has a glass lid with steam vents. 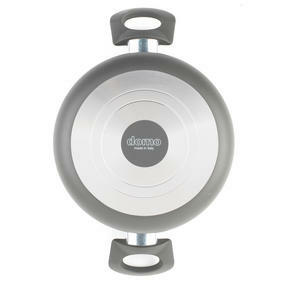 Long lasting and durable, it is suitable for everyday use and dishwasher safe. 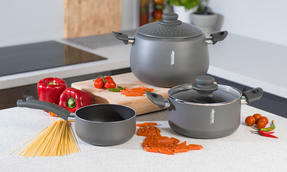 From the Cucina Italiana range this pan is the ideal upgrade to your cookware. This fantastic Domo casserole pan from the Cucina Italiana range is designed and manufactured in Italy to make cooking simple. 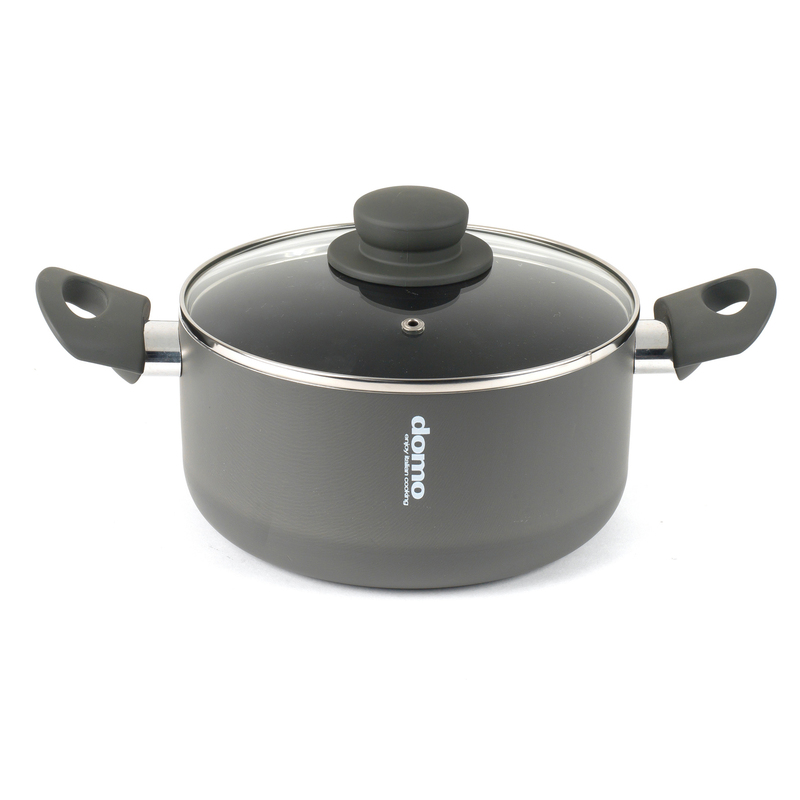 The aluminium surface transfers heat ensuring a rapid heat up and it has a fitted glass lid with steam vents to prevent boiling over. 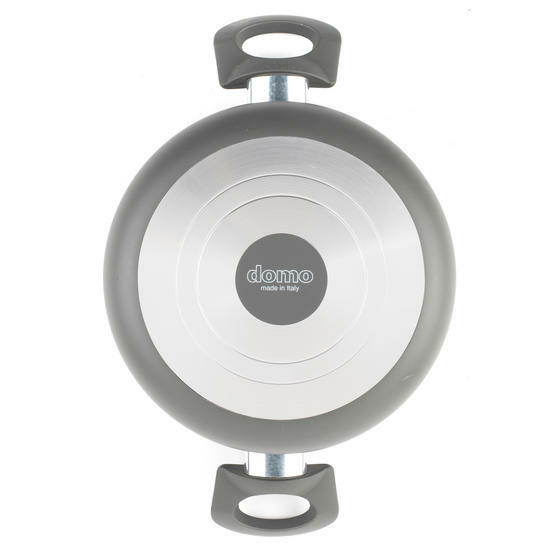 Measuring 20 cm, the pan is ideal for making pasta, rice or veg and is comfortable to move around your kitchen with easy grip handles. 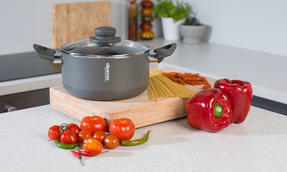 Trendy and classy, the pan is sure to fit in perfectly in any kitchen so you can relax and enjoy cooking the Italian way in style. From the Cucina Italiana collection this great pan is long lasting and dishwasher safe, so you can relax and enjoy hassle free cooking.